Portuguese red wines are made in a number of styles and from a number of indigenous and international grape varieties. Some of the most important regions include Alentejo, Bairrada, Dão and Douro. There are at least 248 indigenous grape varieties in Portugal. 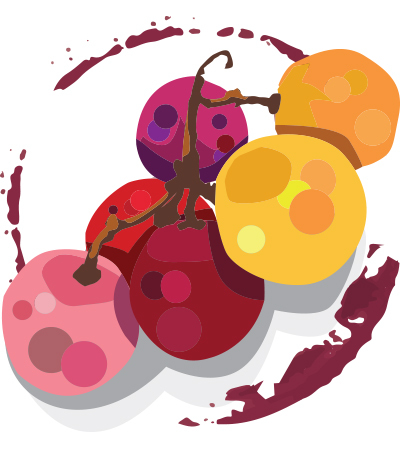 Red grapes account for about two-thirds of all grapes cultivated in Portugal, though many are destined for use in fortified Port wines. Among the native red-grape varieties, Touriga Nacional is perhaps the best known. Others include Tinta Roriz (better known as Tempranillo), Touriga Franca, Baga, Trincadeira and Alicante Bouschet. International grape varieties are increasingly cultivated, too. Among the most common are Cabernet Sauvignon, Petit Verdot and Syrah. Portugal has a multitude of winegrowing regions, across two appellation systems, Denominção de Origem Controlada (DOC) and Vinho Regional (VR). DOC is the Protected Designation of Origin (PDO) level, and VR is the second tier, equivalent to the Protected Geographical Indication (PGI). DOC areas have stricter regulations for winemaking methods and the grape varieties that can be grown, and should therefore—in theory—represent higher quality wines. Alentejo: While the Alentejo region may be best known for producing corks, it also produces quality red wines. Alentejo reds are produced at both DOC and VR levels. Some producers of high-quality wines deliberately choose to label their wines as VR Alentejano, as the rules and regulations are less restrictive. The key grapes used here are Aragonez, Trincadeira, Alicante Bouschet and Castelão. Alentejo reds tend to be rich and full bodied. Bairrada: Bairrada is an important DOC area for Portuguese red wine. The key grape variety here is the indigenous Baga, though producers can also use other more popular varieties including Touriga Nacional, Cabernet Sauvignon and Merlot. Bairrada reds are robust, tannic and hearty. Dão: This hilly region produces some of the most elegant red wines in all of Portugal, from grapes like Touriga Nacional, Tinta Roriz, Jaen (also known as Mencía) and Alfrocheiro. Dão reds are perfumed and intense, and a lot less tannic and austere than they once were, historically. Douro: The Douro Valley is best known as the home of fortified Port wine, though significant amounts of quality dry-red-table wine are also produced today. Important grape varieties here are Touriga Nacional, Tinta Roriz, Touriga Franca, Tinta Barroca and Tinta Cão, among others. Douro reds are some of Portugal’s most robust and full bodied. To learn more about different Portuguese reds, we invite you to browse through our database below. There you’ll find more articles on the topic, and an online Buying Guide to help locate the perfect bottle of red for your next occasion.